The purpose of this project is to cultivate the friendship between Japanese children and the people of other countries. After obtaining the support of Tokyo prefecture’s Board of Education, we have proceeded it with in cooperation with the embassy’s staff, school teachers, and staff of the board of education from this year on. This project will give Japanese children some opportunities to achieve mutual understanding with other countries. We think that most Japanese people know that it is necessary to increase communication with people around the world in order to achieve mutual understanding. But they also know, that it is difficult due to the wall they create around them when dealing with a foreign language. However, the most important thing is to get mutual understanding between people. Especially Japanese people generally don’t express their thoughts and opinions openly as they are afraid of disrupting the harmony. Therefore, it is questionable whether the Japanese are able to achieve mutual understanding with foreigners or not, even if they can speak English well. From this year on, we start this project to provide the Japanese children with the experiences of communication for mutual understanding with them. This project gives a lot of benefits to children to get through communicating with foreign people. We think that communicating with foreign people is worthwhile for Japanese children; they will be interested in and curious to know about foreign countries, and they will recognize the differences between countries in the world. But the most precious thing is to learn how to deliver their own thoughts and opinions to people from other countries. 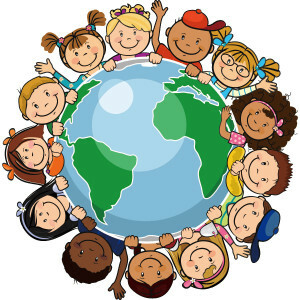 We are sure that the children who have experienced and are associated with you in this project will play useful rolls in the relationship among the people of other countries in the world and our near future. So we’d appreciate it if you could understand the aim of this project and could join us in this project. Most of the association and collaborative events between foreign embassies and Japanese schools have been done by mainly personal efforts of staff or school teachers so far. Recently the teachers are getting so busy that they could not afford to do any extra work, and your staff might get in the same situation as the teachers. We, the NPO, will be able to take over the place of these staff or teachers to arrange the coordination on both sides, so this will relieve their burdens and provide Japanese children with wonderful experiences. 1 You will be requested to visit an elementary school (or Junior high school). 2 The session will take one or two class periods, one class period is 45 minutes. 3 We arrange the schedule for a date, some requests between embassy staff and school teachers. 4 You should have a few meetings before the session with us. 5 We will discuss about the contents of your presentation, because it will be offered by the school teachers, also the contents and the proceeding of the session will depend on the school teachers willing or the children’s abilities. 6 On the day of the session, you will visit the school, and have a session with the children. It will include an introduction of your country, talking about children’s life in your country, or your thinking or feeling of Japan or the Japanese, and so on. 7 Sometimes you will be requested to join the school lunch with the school children. If possible, we would like you to join it. We will do anything as much as possible for your presentation to be successful. 1 We think it is important for you that your session will be successful, because almost all children emphasize on your country’s image through your session. 2 We will have many ideas not to prevent children getting bored at the session. 3 We will support you to prepare your presentation for them. 4 We will also support you during the session.